It’s that time of year again. The time in which people are gearing up in their suits of armor in order to go out and fight for the best deals. I myself have never been one to participate in the craziness of in-store holiday shopping. I would much rather lay on the couch and relish in the fact that I just consumed 10 pounds of food while still managing to get my holiday shopping on at the same time. With the digital uprising in full effect, my shopping worries are over and I’m able to go back for seconds, thirds, and even fourths during the holidays. Below are some aspects of online shopping that make the experience much more appealing throughout the holidays. I do all my shopping on my smartphone. Their capabilities and increased screen size give me everything I need in order to make a smart purchase decision. For retailers, having a site that’s optimized for mobile is so important, not only to generate more sales from different channels but to make your user’s experience seamless. Holiday shopping is a very impressionable moment amongst your customers. 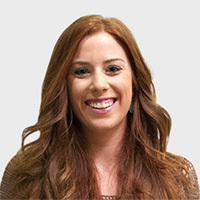 They may be experiencing your site for the first time while frantically shopping for deals and you want their experience to be so effortless that they forget any frantic moments they may have had while shopping online. As ridiculous as it is, there are some serious holiday shoppers out there and having a great user experience may gain you a long-term customer. You know when you go on a website and are automatically asked for your email so you can receive hundreds of cool things if you “Subscribe Now”? Well, most people probably have a select few they’ve actually allowed to grace their email inbox on a regular basis. I, on the other hand, (in the name of research and fabulous deals), have signed up for TONS. With that being said, there are many I hardly notice because they don’t catch my attention. I decided to gather a few of my favorite email marketing campaigns for the holidays and highlight what’s made them stand out from others. 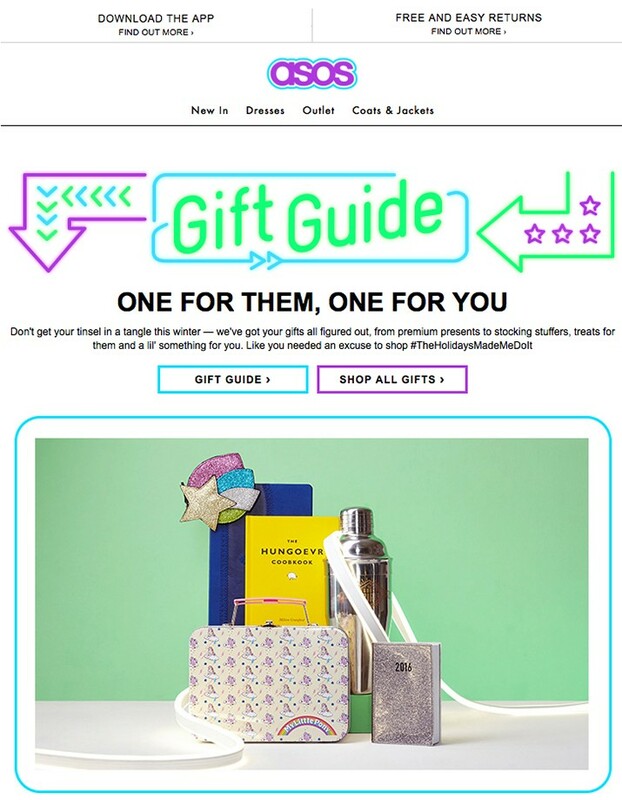 Why it works: Sometimes it’s impossible to know what to get your husband’s sister’s boyfriend, so in moments like those ASOS is here to help with access to all kinds of gift ideas for family and friends. Not only is the email festive, it’s informative. Win-win. Why it works: Early bird gets the worm! 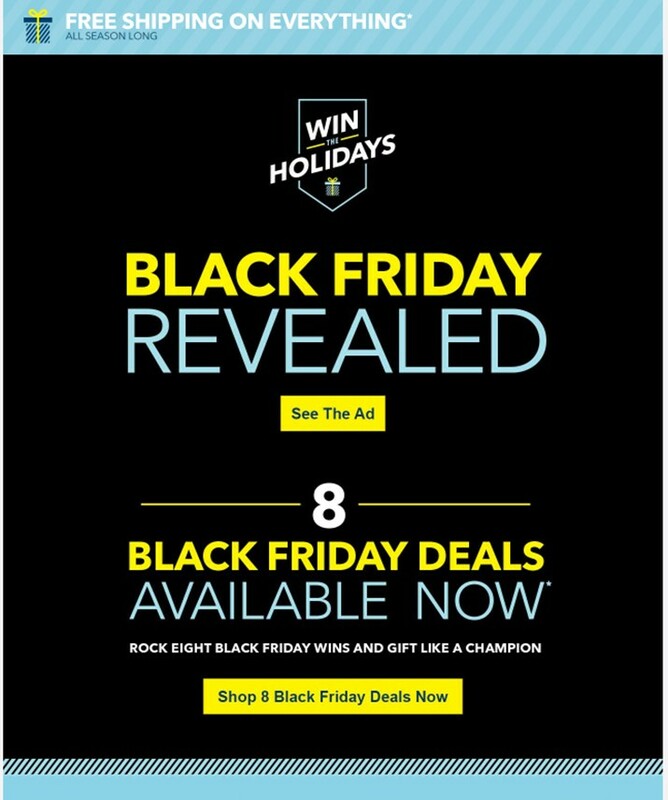 Best buy is already preparing their customers for all the deals to come on Black Friday by giving them a few freebies before the holiday madness even begins. This gets people browsing and spending money on their website weeks ahead of time. Why it works: Offering a free gift with purchase is appealing to the customer because let’s face it, everyone loves free stuff. 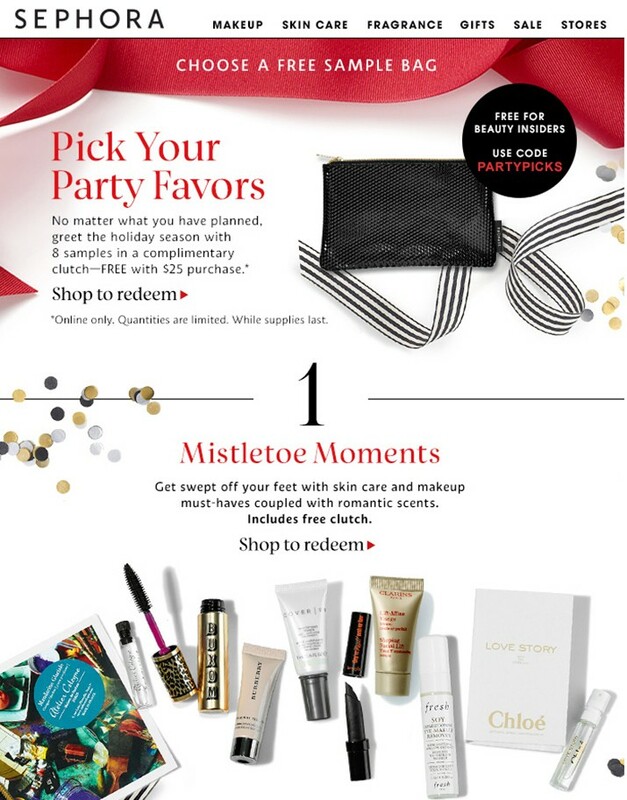 During holiday shopping, you will specifically remember Sephora is running this promotion and want to make a purchase. Why this works: Holidays are all about coming together and this message couldn’t be more spot on. 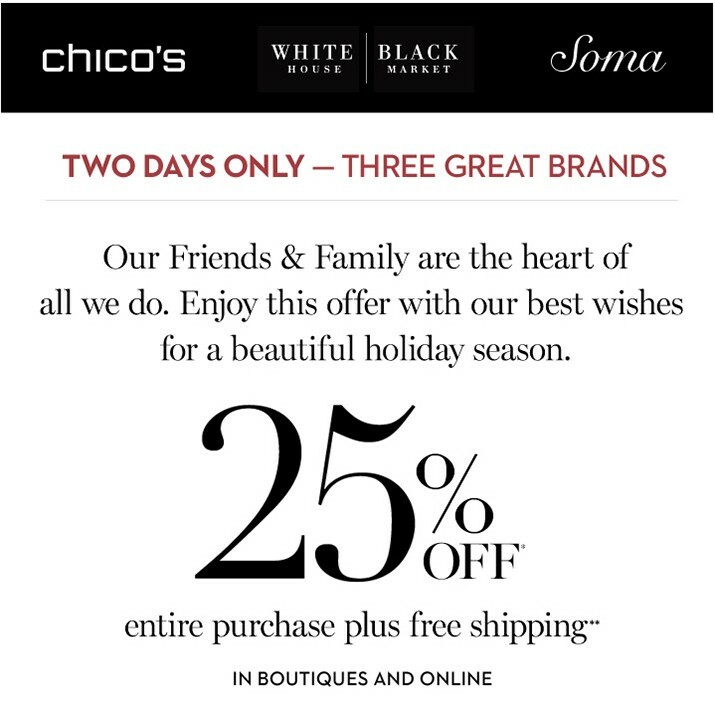 Three brands coming together to give out a special deal is not only three times better than receiving one deal, but it’s also about getting you in the holiday spirit and promoting positivity. The most important aspect of shopping for the holidays online is planning ahead. Knowing what your favorite retailers are going to have promotions on ahead of time gives you a leg up on getting the item as soon as it goes on sale without having to push anyone over (sigh…) Blackfriday.com and BFAds have all the Black Friday/Cyber Monday online ads for most major retail brands and they give you a good idea of what to expect. Other then that, checking and saving your upcoming emails from your favorite retailers is a great way to keep up with all the deals coming your way. This year, sit back, relax and let your fingers do all the pushing. Have any good online holiday steals we should know about? ‘Tis the season of giving, share your insight in the comments below!